It is possible that you might have heard of the village Menar which resides at a distance of around 52 km from Udaipur. And why wouldn’t you, the village is very well known not just in the city but entire Rajasthan for being the bird’s paradise. 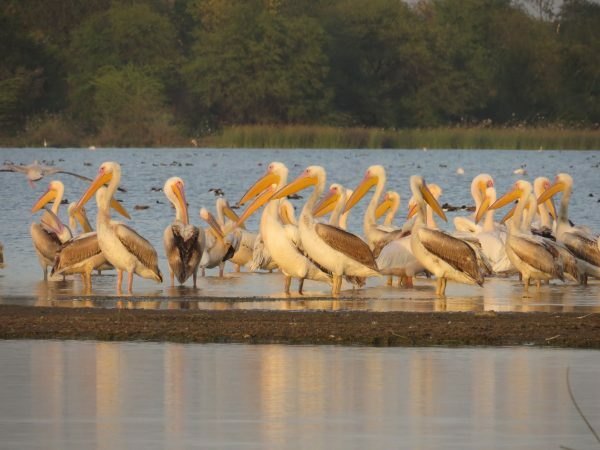 Menar Lake in the village witnesses many migratory birds especially in the winter season and that makes it the ideal destination for the bird watchers around the city. These migratory birds include Greater Flamingo, White-Tailed Lapwing, Pelican, Marsh Harrier, Black Kite, Green Sandpiper, Wood sandpiper, Little Ringed Plover, Red-wattled Lapwing, Northern Shoveler, Northern Pintail, Common Crane, Bar Headed Goose and many more! Well, that was about the Menar Lake. But there are some more things that make the village stand out. 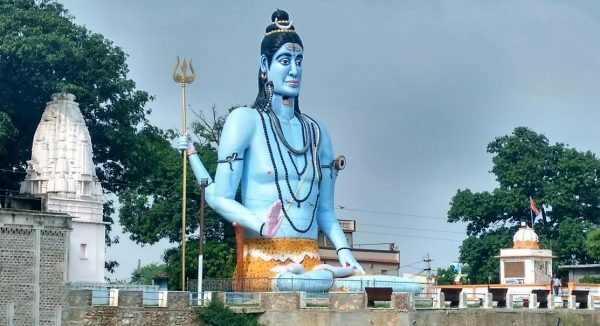 Otherwise known for being the Bird Village, Menar is also very popular for its 52 feet high idol of Lord Shiv which becomes a point of faith amongst thousands of devotees who come here to worship this gigantic idol of Lord Shiva during Monsoons. The temple which homes the colossal idol is known as Thakur Ji temple. The famous Bollywood movie ‘Dhadak’ has also been shot here. According to the villagers, the idol has been constructed by the fellow villager, Prabhulal Joshi. The Shiv idol situated in Haridwar inspired Prabhulal to build one in his own village. The construction of the idol has given employment to more than 400 people of the village and the artisans of the idol were called from South India. It is also said that the village has some sort of connection with the number 52. 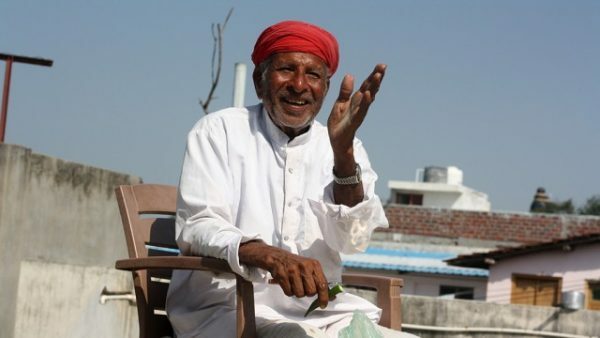 Villagers say that several years ago, Maharana Pratap got so impressed by the bravery and courage of the villagers that he gifted a land of 52 Bigha (a measure of land) to this village. Also, the distance between the district headquarters and the village is also 52 km. 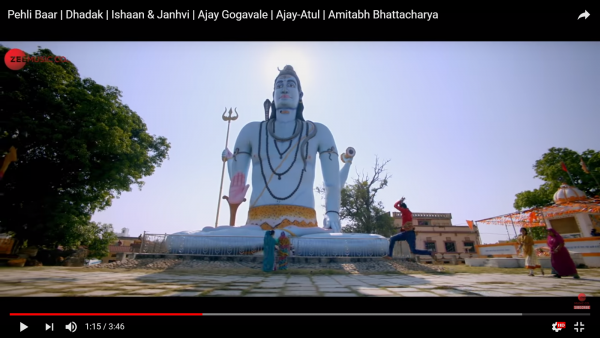 This can be the possible reason why the height of the idol is kept 52 feet. The chain of amazement doesn’t stop yet! The people of Menar village are no less than anything else here. The credit of Menar being the Bird’s paradise doesn’t solely goes to the ecosystem of the area but also to its people. In recent months, Menar has been in the news for having set an example in community-driven conservation. 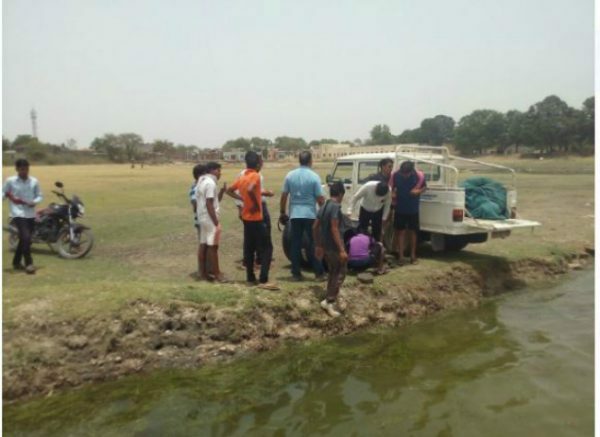 The villagers made some fair attempts to save the fishes of the lake. In order to ensure a healthy ecosystem people of Menar village have stopped using the water of the lakes for irrigation purpose, fishing has been prohibited and regular weeding is done to get rid of water hyacinth overgrowth. They have also set up a group of volunteers known as ‘Pakshi Mitra’ who ensure a safe stay to the flying visitors. From rescuing injured birds to conducting regular anti-poaching patrols, these volunteers have set a benchmark to conserve the ecosystem of the village. As mentioned above, the history of Menar goes long back to the time of Maharana Pratap’s reign and even before that. After multiple wars taking place during the period of 1226 AD in Mewar, many people were martyred. The remaining people scattered to find a home in places. The people who went to Nagda (currently known as eklingji) became Nagda Brahmin, people who went to Pali were known as Paliwals and then the people who came to Menar became popular with the name of Menarias. From Dhirubhai Ambani and the Hinduja brothers to Lata Mangeshkar and Juhi Chawla, the Menaria chefs have handled the kitchens of the multi-millionaires as well as many celebrities in the country. 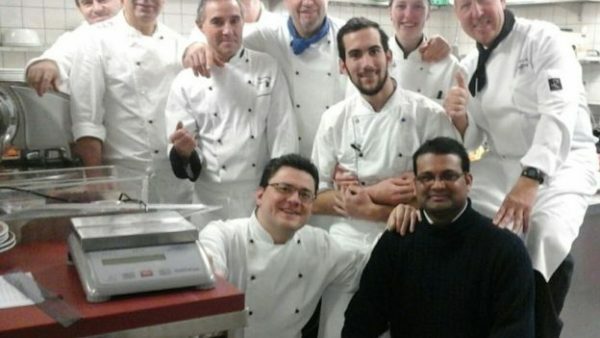 For instance, Yashwant Menaria from the village manages the kitchen of the Hinduja brothers in London. When he was in the age of 14, he took the contract of running the canteen of the multinational company near his village and this was the beginning of all. Poonamchand Aklingdasot is another Menaria has an interesting story himself. Poonamchand used to cook for Lata Mangeshkar’s family before which he managed the household of Dhirubhai Ambani in 1997. Such is the glory of this village. When are you planning to visit Menar? Do you have any feedback regarding the article or any interesting story to share with us? Then write to me at juhee@udaipurblog.com.